I spent the afternoon on the 4th of July at the Portland Museum of Art. 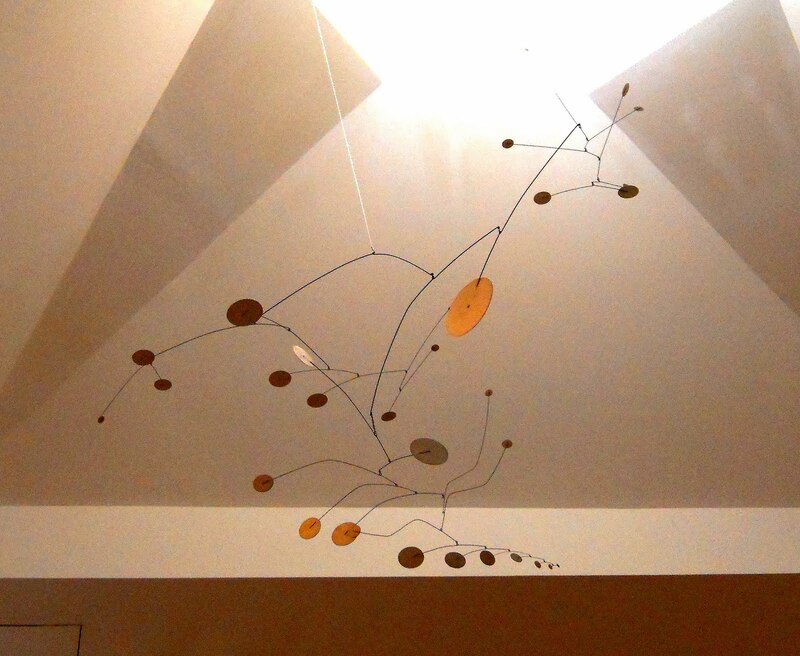 Photography is not allowed for most paintings at the museum, but the Calder was free game. Mobiles continue to make me cheery for no reason. The John Marin, "Modernism at Midcentury," show at the museum is definitely worth seeing, although I confess, I lingered longer by the Magrittes upstairs in the main collection. I loved the cubist leanings of Marin's seascapes, geometry layered over natural ocean chaos. From a how-does-he-do/see-that persepective, it was immensely useful, an entrance into his vision. Magritte's surrealism feels like a poem though -- the world explained by setting vision askew.